Come home to an abundance of space inside and out in this recently renovated low -set family home in a quite and leafy enclave of Indooroopilly. All of this is just 7km from Brisbane CBD, 5 mins to Indooroopilly Shopping Centre, 3 mins to Indooroopilly State School and easy access to the Centenary highway including the M7 tunnel. You have a perfect and spacious open plan living area, sprawling out to the perfectly positioned and private outdoor entertaining area. This home has been recently painted throughout and has a very modern kitchens and bathrooms – nothing to do here but just walk right in! There are a total of 6 rooms separate from the living area – so depending on the size of your family or your current lifestyle, you can use the rooms according to your needs. You could essentially have a 6 bedroom house, a 5 bedroom plus media room, or keep the second bedroom as your walk in robe! (current use). This is truly a flexible family home, which can easily suit every family/ home situation. Amazing outdoor entertaining area overlooking your crystal clear salt water, solar heated pool, complete with a full outdoor kitchen, TV and sound system, fridge for your champagne, full bathroom – all situated in an elevated and private position. Don’t forget about your four legged friend! The backyard is fully fenced and has plenty of grassed yard and gardens to play around in. Storage is not an issue in this home, with ample storage room situated neatly behind the outdoor entertaining area and next to your large garden shed at the back of the property. All of this is complimented by the well established gardens giving you beautiful natural green views, with that ‘acreage feel’. – Outdoor entertaining including full kitchen facilities, TV, speakers, dishwasher & fridge! – Full bathroom, and storage room behind the outdoor kitchen! – Second ‘outdoor escape’ with elevated treetop views! 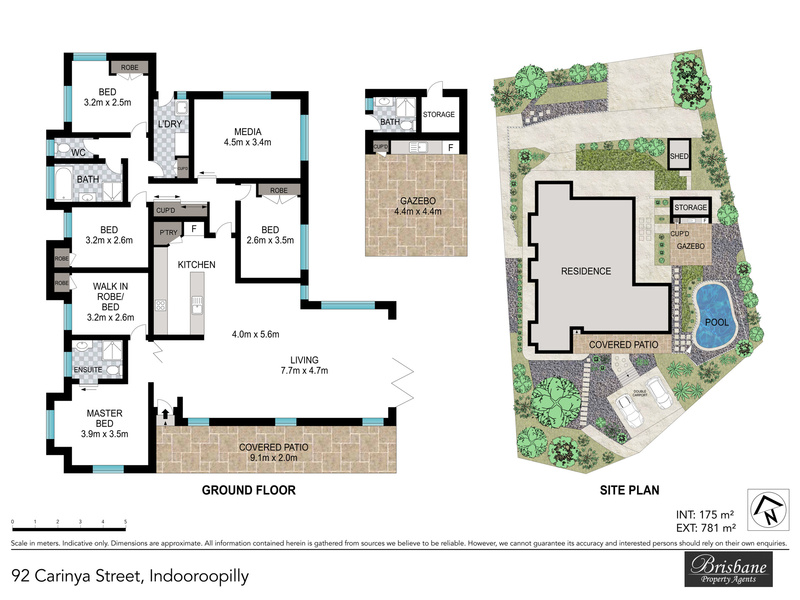 – Huge 863sqm block with flat grassed areas for the kids! – Beautiful and immaculate condition inground pool – Solar heated, salt water, current pool safety certificate! – Super cute and spacious garden shed! – Backing onto and easy access to Mount Cootha Lookout Trial – natures gym at you doorstep! – Walk to Carinya Street Park! This home is priced to sell – sellers already purchased elsewhere and are ready to move – so don’t miss this weekends open homes – come along and see what this amazing home has to offer!